Six years after he knocked out Dereck Chisora, David Haye is now his manager. 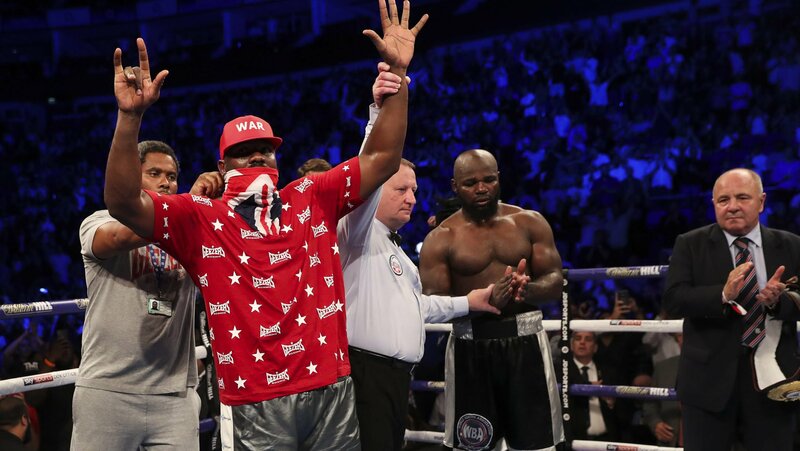 In a move that caused shock with many, Chisora has tasked Haye to guide his career and set up a deal for a potential rematch against Dillian Whyte on December 22nd. Chisora and Haye had a grudge match in 2012 where both fighters would end up brawling with one another at a press conference. “I had to think: ‘do I want this task?’ No disrespect but Dereck is not the easiest to work with! Chisora was the one who courted Haye, and said it all started with a lunch. “We had lunch. We spoke. He played hard to get! He said: ‘let me think about it’ but he was already hooked. “He said: ‘let’s do it’. “Going back a little while, I thought Chisora was washed-up,” said Haye. “Going into the Carlos Takam fight, I thought that was the hardest possible fight for him. “Takam is a former sparring partner of mine, and I thought he would beat Chisora up. “I was more than surprised. I was shocked at the heart, aggression and will to win that Dereck showed. “Dereck can shock the world once again, and will be knocking on the door for a world title shot,” said Haye. “Can you imagine Dereck knocking Dillian out? The shockwaves that would send around the world. No longer would he be ‘Del Boy’ Chisora. He would be ‘War’ Chisora.